Woodlea Surprise in Bel Air! A few weekends ago, Crusader Stacy and I met a couple of girlfriends for brunch and stumbled upon Woodlea Bakery in Bel Air. We were headed to Open Door Cafe for brunch (which was fantastic) and noticed the bakery was in the same shopping center. Stacy and I have both seen the original Woodlea Bakery on Bel Air Road in Baltimore city, but have not had a chance to go there, so this was a pleasant coincidence we had to take advantage of! This was the only full-size cupcake I brought home. While Red Velvet is a flavor I order often, it is not always a cupcake I finish eating – because it, in my opinion, is rarely done correctly. With that said, this red velvet was not bad. The cake alone had good flavor to it, mild but sweet, just as a red velvet should be, but that could not save it from being DRY, very dry. The icing was creamy and a great consistency, but sweeter than I like my cream cheese icing. Had the cake been more moist, I could have forgiven the overly sweet icing. This is a cupcake I would order again though, just to see if the moisture of the cake was better. Spicy and sweet, this little cupcake packed a punch. The cake was too dry for my liking, and the cream cheese icing was the same as on the red velvet above, so for me, a little too sweet. Overall, being a carrot cake fan, this wasn’t my favorite and wouldn’t be one I would order again. It just seemed like it was missing something. Was it nutmeg? Was it allspice? Was it carrot pieces? Sadly, I just can’t put my finger on that missing ingredient. 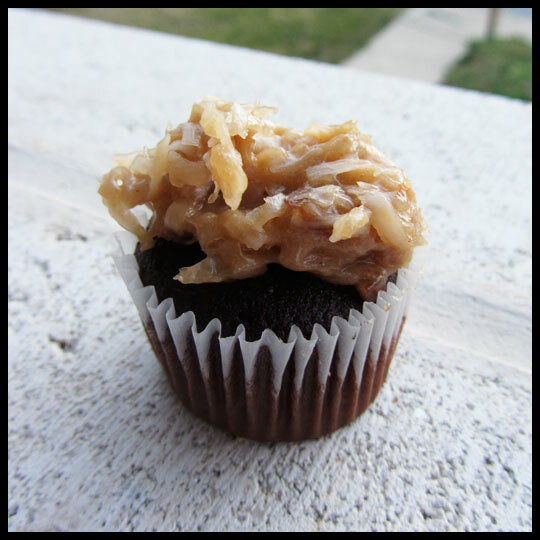 This little morsel of chocolate and coconut goodness was the best of the three cupcakes I tried. I love German chocolate cake and if this was a glimpse of what a full size German chocolate cake would taste like, I might have found my next birthday cake! The cake was on the dry side, but the coconut topping added enough moisture to eliminate that issue. 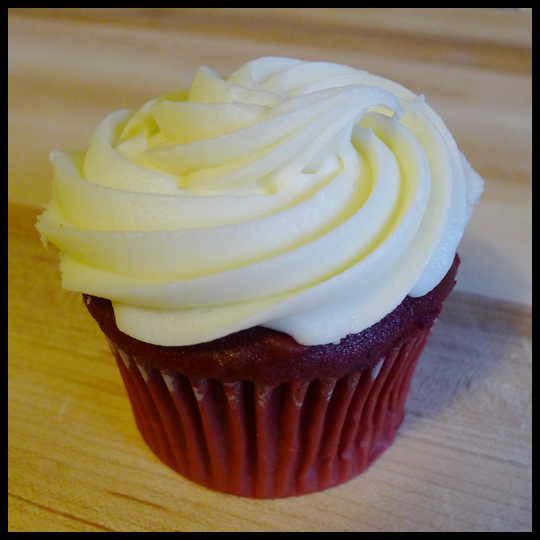 like the Red Velvet, I would definitely order this cupcake again, and would love to get a full-size version if possible, to see if the cake wasn’t quite as dry. The next time I am in that area, perhaps I will stop by and pick up some other baked goodies to try. Especially after reading the reviews online of the donuts! Do you live by a true old-school bakery? What’s your favorite thing to get (and does it happen to be a cupcake)? 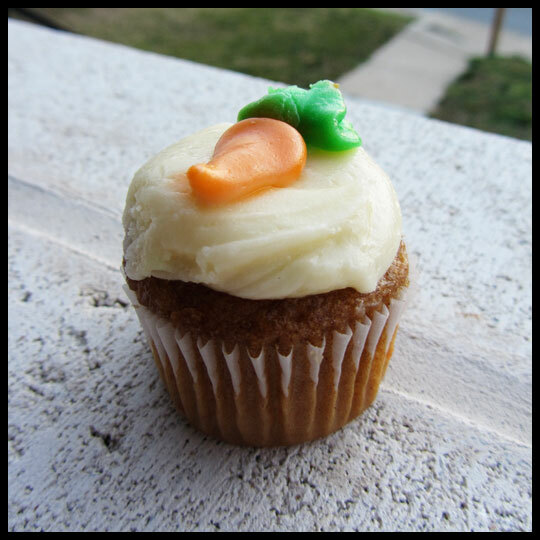 This entry was posted in Cupcakes, Maryland and tagged Bakery, Bel Air Maryland, brunch, carrot cake, donuts, German chocolate cake, mini cupcakes, Open Door Cafe, Red Velvet, Woodlea Bakery by Crusader Elisa. Bookmark the permalink. Go to the original on Belair Rd and get the smear cake… or a peach cake. I grew up on these! I’ve been meaning to check them out, but haven’t gotten around to it yet. When I go, I’ll definitely see if they have either of those! Thanks!